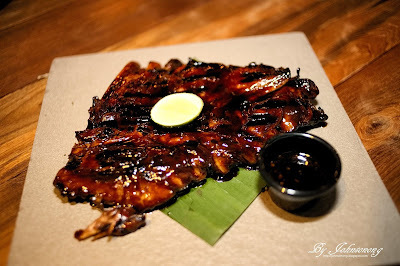 Pork ribs lovers like me is familiar with Naughty Nuri, a famous eatery specializing in grilled pork ribs originated from Bali, Indonesia. This time, Naughty Nuri’s introduced the ‘Stand By You’ (SBY) campaign to its patrons by offering three meals a week at a slashed price. It was an approach to show that Naughty Nuri’s stands alongside, cares and has its patron’s backs to enjoy their tasty dishes without feeling the pinch in their wallet due to our current economic turbulent times. The campaign was a success as many patrons came in throughout the campaign period to enjoy their food and walk out even more happy. 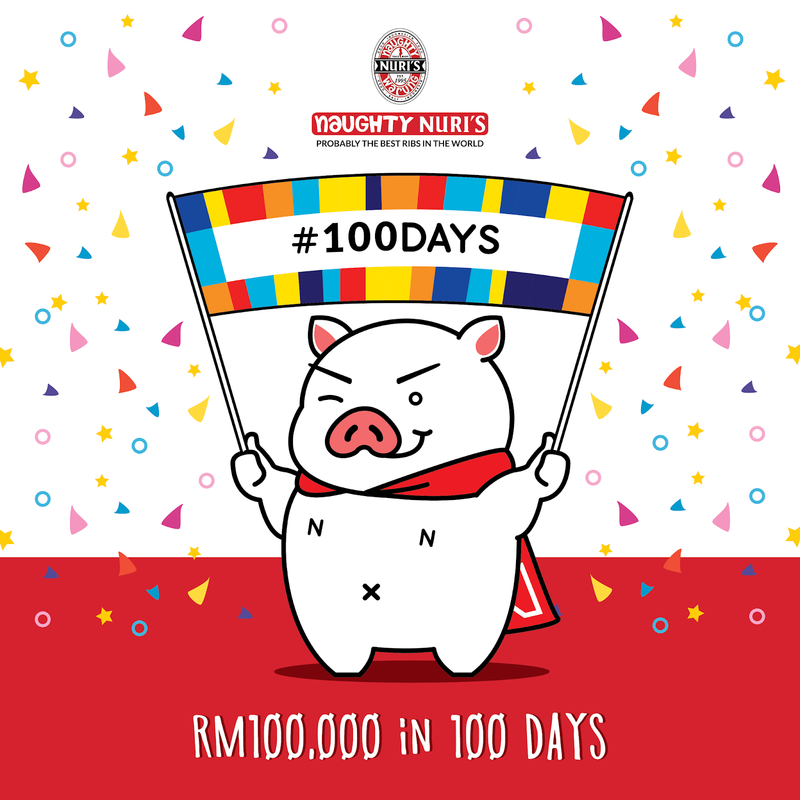 To celebrate the country’s choice in the recent General Election, Naughty Nuri’s will be introducing “100 Days” campaign. The name of the campaign has been inspired by the number of days promised by the new government on their recent manifesto before the election. Plus, it will feature a grand giveaway of RM 100,000 in the form of cash and prizes which will be running for 100 days beginning the 1st of June. Everything about this campaign has been tailored in such a way for patrons to create memories visiting the restaurant during this period. There will be contests like the “Naughty spin” and “Naughty Draw”, which will be available at all four outlets. With just a minimum spend of RM100 in a receipt, patrons will get a chance to spin the “Naughty spin” where prizes can be won instantly. On top of that, patrons will be given the chance to participate in the weekly “Naughty Draw” where there are more amazing prizes lined up. Fans of the World Cup can also head down to Naughty Nuri’s Desa Sri Hartamas outlet to watch live matches of their favourite team on screen. The outlet has been tastefully decorated with flags of all participating nations and there will be a huge screen to allow large crowds to view the matches. Besides the screening, fringe activities will also be added to the fun. Follow Naughty Nuri’s on their Facebook page to keep up with upcoming surprises and events. You don’t want to miss out on something special. Wow. Such a great campaign!Cannot wait to dine in and spin.